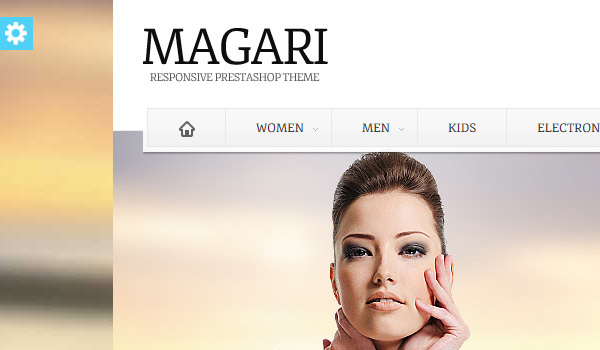 Magari is a very powerful HTML 5 PrestaShop theme. Let’s begin with the unlimited customization possibilities that the theme possesses. 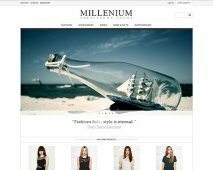 The main features of the template include the responsive design, which means that the theme is compatible with all kinds of browsers and devices; besides there are two-page styles, so you can choose between them the one, which fits your online store page perfectly – you can choose between full width and fixed width. Moreover the theme possesses a Configuration module with a wide range of colours for each and every element on the site; besides you can alter your written content too by choosing among the over 500 google fonts for, say, your headings, but, of course, this is not at all compulsory, you may create the perfect page by simply picking out the standard font style. 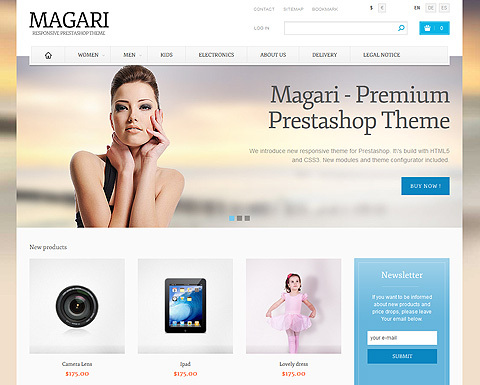 Furthermore the additional modules in the Magari theme present your online store site in the best possible way. For instance, you may use the advertisement slider in the sidebar and attract a lot of companies that want to advertise with you; or according to their preferences the Magari theme empowers you to put a whole advertising block on your online store page. 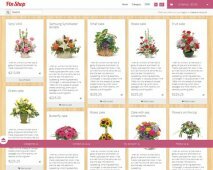 Additionally, there’s the big slider where you can add all the featured products for your customers to see; besides you can include a manufacturer slider on your page so that your customers will be most informed about the goods they purchase. What’s more there’s the option for including new-product slider, where you will direct your clients’ attention only towards the latest goods and services. Finally, you can incorporate different social links in your footer area so that customers could log in into their Twitter or Facebook accounts most easily. 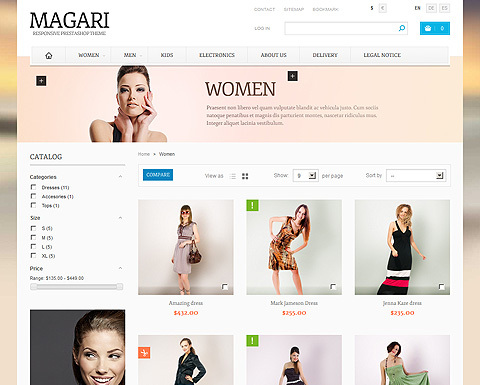 To sum up the Magari theme gives you the chance to create the online store page of your dreams without the need to hire a graphic designer.